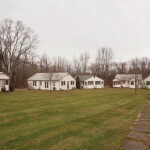 MONTICELLO – The months of July and August typically mean the population of Sullivan County triples as summer visitors move to the Catskills from the City of New York. Sullivan County Sheriff Michael Schiff each year requests additional deputies to assist in patrols and this year is no exception. The county legislature earlier approved the hiring of six deputies for a 90 day period. The Sheriff’s Office and State Police are the two primary countywide policing agencies in Sullivan County.